Vancouver, B.C., September 16, 2014 – SilverBirch Hotels & Resorts has been named one of the top three finalists for the Air Canada Business of the Year Award at the 2014 Canadian Tourism Awards (CTA), presented annually by the Tourism Industry Association of Canada (TIAC). Every year, TIAC recognizes organizations and people that have demonstrated success, leadership and innovation to offer travellers exceptional tourism experiences in Canada. The Canadian Tourism Awards have become the standard of excellence for businesses and organizations in the travel industry, showcasing the nation’s best tourism products, services and experiences. 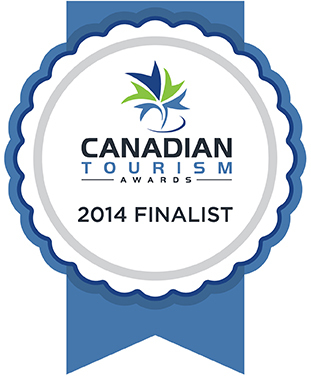 The 2014 award winners will be announced at the CTA Gala in Ottawa on November 26 in Ottawa. SilverBirch’s strategic business approach of partnering with major international hotel brands to build new properties across Canada has translated into significant investment in the communities the hotels operate in, resulting in the creation of new jobs, local economic development and community contributions. With a highly-engaged workforce, a great management team and a solid business growth strategy, SilverBirch is confident that the company will continue to exceed expectations and set a leading example for the industry. The Business Award of the Year recognizes businesses that have demonstrated all-round business excellence in business operation, customer service, growth and innovation, human resources development and enhancement of the Canadian tourism industry. The Canadian Tourism Awards are presented annually by the Tourism Industry Association of Canada to recognize success, leadership and innovation in Canada’s tourism industry, and to reward those people, places, organizations and events that have gone above and beyond to offer travelers superior tourism experiences in Canada. SilverBirch Hotels & Resorts is one of Canada’s leading hotel management companies and manages over 20 hotels and resorts across Canada. The company manages independent hotels and hotels operating under major franchise brands, such as Radisson, Marriott, Hilton, Quality, and Best Western. For more information, visit www.silverbirchhotels.com.